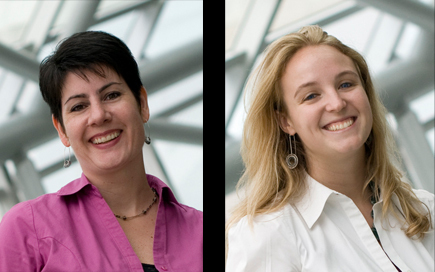 Ziger/Snead Architects, a leading Baltimore-based architecture firm, recently announced the promotion of two team members to Associate. Nicole Lamont has served as Ziger/Snead’s Office Manager for more than fourteen years. With professionalism and compassion, she manages the millions of details needed to keep an office of architects running efficiently. She establishes and nurtures relationships with clients and friends, consultants and contractors, partners and spouses, children and pets. Katelin Etoh, CPSM joined Ziger/Snead in 2010 as Marketing Director. She is recognized for combining technical skills with strategic planning to more powerfully and more productively communicate information and successfully execute marketing and business development goals. Katelin earned a Bachelor of Arts in Architectural Studies as well as in Visual Arts from Brown University in Providence, Rhode Island. She is a Certified Professional Services Marketer and serves on the board for the Maryland Chapter of the Society for Marketing Professional Services.